My home away from home. My heart is broken. Accounts from friends who live out there and are trying to/have returned are that the destruction is immense and widespread. A friend’s basement is exposed and there is a light pole through the first floor. The boardwalk, after being repaired this past fall due to damage from Irene is almost entirely destroyed. The beaches were also recently replenished. Last night, the 100th NYPD precinct was evacuated and today there are local reports of violence and gun point looting. I know how vibrant and strong this community is and I don’t doubt it will recover. “I just want to go back and see my cat, Penelope” – D, Rockaway local who left his apt, cat and his roommate for the safety of Brooklyn. Sandbags block the entry to the closed Staten Island Ferry in New York. The surge pushed ashore by the storm could be as high as 13 feet in places such as Stamford, Conn., and Staten Island, N.Y., according to estimates from the National Oceanic and Atmospheric Administration (NOAA). Full-moon tides could add another foot, and near-hurricane-force wind gusts could produce 20-foot waves. Experts say the surge could put some runways at New York-area airports under water and perhaps flood New York subways with seawater, leading to costly electrical damage. Fear Not; the offices of Goldman-Sachs are safe! A bulwark of sand bags filled with hundred dollar bills. Monday, Oct. 29, 2012, in Hoboken, N.J.
CNN – [Updated at 4:14 p.m.] In just two hours, the number of customers without power because of Hurricane Sandy has more than doubled. More than 765,000 in seven states have no electricity, with New York and New Jersey being the most affected states with more than 220,000 outages each. Hurricane Sandy may have claimed its first American victims today as it sank a tall ship and washed away two crew members as they tried to board a life boat. Fourteen people were rescued from the floundering HMS Bounty early this morning and an urgent search is on in the churning seas for the two missing sailors. The director of the HMS Bounty Organization, Tracie Simonin, said that the tall ship left Connecticut last week for St. Petersburg, Fla. She said the crew had been in constant contact with the National Hurricane Center and tried to go around the storm. Donning survival suits and boarding two 25-foot lifeboats with canopies, the crew abandoned the vessel. Ocean waves kick up near homes along Peggoty Beach in Scituate, Mass. Low Tide on Shore Road; Gloucester, MASS. As the East Coast braces for Hurricane Sandy, we hit the streets of the Crescent City for tips on how to prepare, endure, and recover from a monster storm. Everyone got their booze handy? 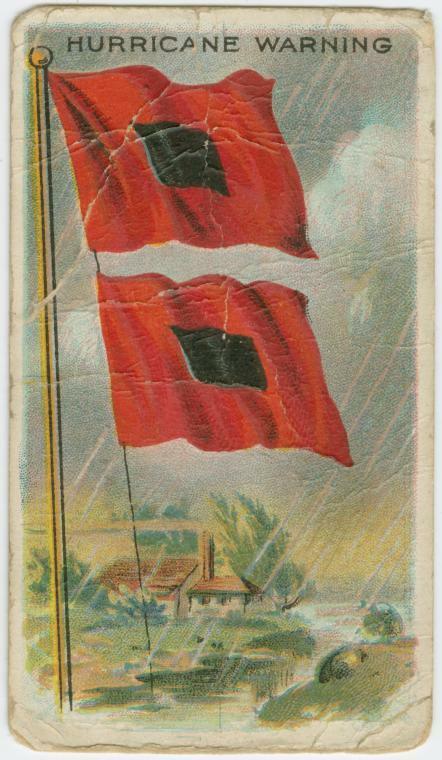 The New York Public Library system will be CLOSED on Oct. 29 because of Hurricane Sandy (we thought this undated cigarette card from our George Arents Collection was an appropriate image to go with this news). Meanwhile, please prepare yourself for this storm – check out the NYC Office of Emergency Management for info – and while you’re cooped up inside, don’t forget that you can still check out NYPL eBooks from the safety of your home! Update time: The storm’s hit NY and here are some of the shocking photos we’re seeing. And a video, at the 40 second mark. A carousel, now part of the east river. One from Avenue C and 14th. Con Ed going–start at the 3 minute mark. Lights out, except one tower and the Empire state bldg. 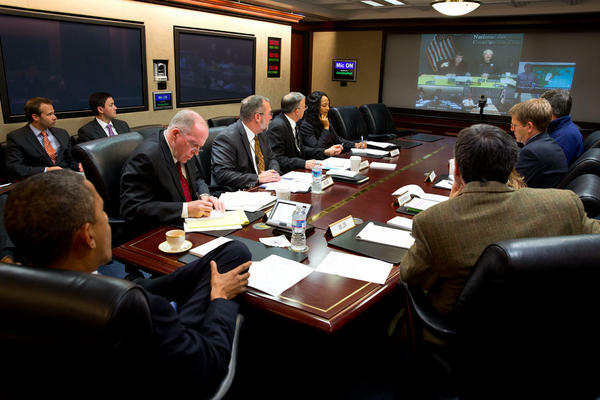 The cars via Tom Plunkett and Getty via some guy’s hurricane liveblog which has no attribution links so he’s not getting any more links other than the ones above. The tall ship bounty, sinking. The captain is still lost at sea. Some believe oyster beds would have protected NY from storm surges. They would have, at least, filtered the water better–one oyster can filter up to 50 gallons a day. East village, out (from earlier in night). 86th Street Station via Hey Veronica — but likely unverified–or fake. From all appearances, this place is still an earthly paradise. Here in the Bikinian Ancestral Cemetery, with its tidy white fence and weathered graves, the 3.4-square-mile island looks exactly as Alson describes it. The sky is a deep cobalt blue; coconut palms, orange-limbed and yellow-fringed, sway in the steady trade winds. There are still breadfruit trees and pandanus trees and flame trees with brilliant red blossoms. Two hundred yards to the north, a coral reef meets the full, transparent blue violence of the Pacific. There is just one problem, though you could stare at this palm grove for a lifetime and never see it. The soil under our feet, whitish gray in color with flecks of coral, contains a radioactive isotope called cesium 137. In high enough doses, it can burn you and kill you quickly; at lower levels, it just takes longer to do the job, eventually causing cancer. The soil itself is not dangerous to touch. The danger lies in the plant life that takes it in, and in the animal life, like the huge coconut crabs that live on the island and eat the plants. The cesium 137 is fallout, a word introduced to the world during the systematic detonation, from 1946 to 1958, of 23 nuclear weapons by the U.S. army on Bikini Atoll. Over the course of a nuclear exile that has lasted 66 years, the Bikinian people have been relocated five times. They have nearly starved to death. They have seen their way of life vanish. They have watched as nuclear scientists swarmed over their island, trying to figure out what the bombs had done to it. They have fought the U.S. government in legal battles all the way to the Supreme Court. Alson was part of a group of three extended families who moved back to the island in the 1970s after it had been declared safe. He lived the fantasy existence he describes for me, only to be told, after the discovery of the horrifying cesium 137, that he and his people had to leave. …surfers drop into big, dark waves that begin clean, but suddenly break at points all the way up the face, like steps exploding out of the side of a wall. There’s a lot of dramatic wipeouts, many of them caused by the steps. Filmmaker Dave Otto made the short from footage shot at Storm Bay, off the coast of Tasmania, Australia.